I’m serious. And all kidding aside. 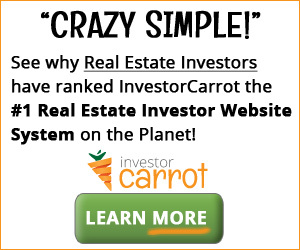 I want to hear your stories about real estate and real estate investing. We all have them. If you’ve read my stuff, you know that I have a ton of them, and I haven’t even told them all yet! I know that you have them too. And I want to hear them, and post them here on my site so everyone can enjoy them. No Horses, But Detroit Employs a ‘Horseshoer’? I admit to being completely jaded and one of the most vocal and cynical critics of the City of Detroit. In sharp contrast with many of the vapid rah rahs who do nothing but extoll the supposed “virtues” of this rotting cesspool, I actually own property in the city, and I have now for several years. So I have some perspective with this. But even I admit that I don’t know everything about this nexus of dysfunction. So imagine my surprise when I read the headline above from an article in the Michigan Capitol Confidential (link below). Yes you read it right. The city’s water and sewer department doesn’t have any horses. Yet they employ a “horseshoer”. That was the subject line of an email that I received yesterday. Seriously. I don’t think I’ve heard anything more stupid in my entire life. Embrace failure. Really? It’s like all the people that never got picked for kickball in the third grade are either running the show or in positions of influence. It’s no wonder we’re morphing into a society that wants to be taken care of instead of being masters of their own destiny. “Oh that’s ok, failing is fine. It’s not your fault. At least you tried. Let’s have a big kumbaya hug and feel great about ourselves for at least trying”. What a bunch of bullcrap. I can’t think of anything more counterproductive than excusing away failure. I vehemently disagree that failure should be “embraced”. I hate failing. I despise it. It burns me up inside. It consumes me. In fact not succeeding at something is one of the worst possible things that can happen. So instead of “embracing” it like so much psychobabble baloney, I attack it head-on. I treat it as a mortal enemy that needs not only to be defeated, but eradicated. Stamped out. Eliminated. Now don’t get me wrong. I get that failure is common. And based on my own experience it’s all too common. But that doesn’t mean we should embrace it. Or feel good about ourselves when we fail. No way. You don’t get any brownie points or ROI from trying and failing. You get them from results. And results only occur when you face failure head-on, and keep doing that, until you succeed and get the results you’re looking for. So while failure may be necessary, it’s never something that should be embraced. Off-Topic Friday: Can We Finally Talk Turkey About the Automotive Industry? C’mon. Let’s all take a minute to catch our breath. There’s way too much hyperventilating going on. I myself have been torn through this process. My day job is tied directly to the automotive industry, and although my background and attitudes are firmly on the side of free-market laissez-faire economics, a part of me has secretly been pulling for the loan package to be approved. Because it would be easier. If ever there was something that explained society today in the US it’s that. We want ease. We want simple. We want Judge-Judy type scenarios where everything gets decided pretty neatly for us in a half hour. We don’t want long and difficult transitions. And we certainly don’t want pain. But with Ron Gettlefinger’s inexplicable decision yesterday to reject the notion of any more concessions – kind of like a man on the deck of the sinking titanic thinking that he is still in control of his destiny – all we have left to look forward to is a difficult transition. And probably lots of pain. But now that the notion of a loan package looks like it’s dead, and with it the “easy way out”. Can we finally talk turkey? Can we take the gloves off and talk truth and not hyperbole? And truth is this – that bankruptcy IS the way to ensure the survival of this industry into the future. Period. Let’s face it – the bridge loan packages were simply stopgap measures to buy them more time to restructure. But these companies need a massive restructuring focused on slashing hourly labor and retiree costs though, and the ONLY way to do that is through a bankruptcy action. You need look no further than the UAW’s action yesterday to see why bankruptcy is necessary. After all these years the UAW still doesn’t get it. And because of that I don’t believe for one second that any restructuring action without bankruptcy would have been successful. And so while the bridge loan scenario would have been easy, it would also have started the final death spiral for the manufacturers, and probably for this area. So now that it looks like we’re heading down that path, can we stop all the chicken-little talk about nobody buying from a bankrupt company? It made for a nice, visible, and dramatic argument when we were looking for the easy way out. But the fact is, it’s simply not true. In fact, I propose that we stop talking about bankruptcy completely. It’s unproductive. And it sends the wrong message. All of us in this area have a huge vested interest in this RESTRUCTURING of the automotive industry. And through this RESTRUCTURING this area will bounce back stronger than before. We have always bounced back. And I’m confident that we will again this time. And I’m putting my money where my mouth is – I’m closing on the purchase of another investment property this afternoon, and I have three more that I’m looking at. So let’s use all of our considerable communication powers and channels to talk about all the great things that are going to come out of this RESTRUCTURING. The pain is now going to happen no matter what. It’s up to us to choose how to react to it. Just Confirmed My Speaking Time for Podcamp Michigan TOMORROW! I have taken the plunge and signed up for a speaking slot at the first Michigan Podcamp that will be held tomorrow, November 8 in Southfield. I’ll be speaking from 1:45 – 2:00. It’ll be a quick 15 minutes on one of my favorite topics. I laughed hysterically at the concept of Twitter when Mark Ijlal first introduced it to me. I’m not laughing anymore. Find out why tomorrow at 1:45pm. Tim Robertson, publisher of MyMac.com will be speaking on how to effectively interview, get the people to show up, and the different types of technology to use. Jermiah Staes of Portage Media Solutions will be talking on Podcasting and Blogging as cornerstones of your total social media strategy. Hajj Flemings author of The Brand YU Life, founder of Brand Camp University, will talk about the importance of your personal brand. Mike Pfeiffer, host of Most People Are DJ’s podcast will speak on how to capture satisfaction from podcasting. Shannon Paul of Red Wings will speak on the value of participation in building your network through social media. And others . . . . .